The Picture House, due to its size (seating 530 across the stalls and balcony), offers an ideal place to enjoy spoken word live entertainment, conferences, and private film screenings. We have a ‘de-mountable’ stage which is 6 metres wide by 3 metres deep (and 38 cm or 76 cm high) and can be erected for panel discussions, comedians and speakers, in front of the screen, on the carpeted area at the front of the stalls. We have 4 wired and 2 roaming microphones, and the cinema sound system available for use (please note this is not equivalent to a full PA, and cannot cope with live music; a PA would need to be hired for music events). We have a 24 channel front of house lighting rig available for lighting the small stage / the area in front of the screen. We regret we are no longer able to offer hires involving the use of the main stage, due to a lack of suitable stage and lighting infrastructure and equipment. Documents detailing our hire charges, booking terms and conditions and technical features and capabilities are available to read or download below, together with an explanation of our booking process. 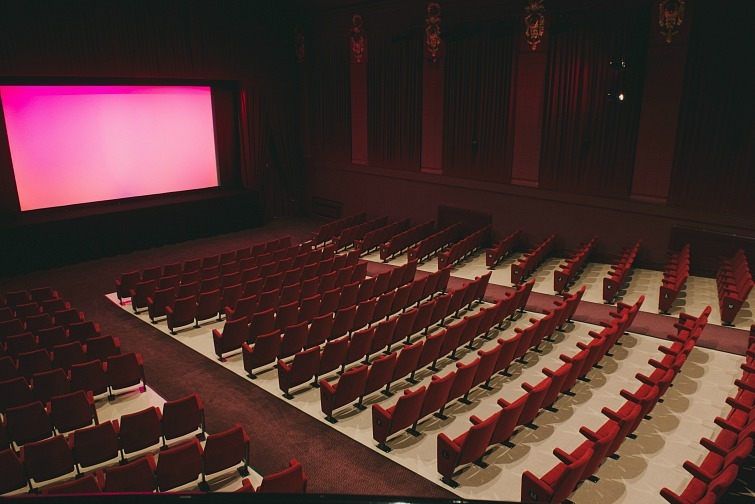 Community groups and charities are able to hire the cinema at discounted rates.